I gotta tell you. I am loving my green wicker rockers that I revealed on my Sparkling Porch. I put off restoring them because I just couldn't decide what color to paint them. (that and the fact that I was lazy to clean them up.) When I borrowed the power washer to wash off the back porch I finally cleaned them up so I had to make a decision. 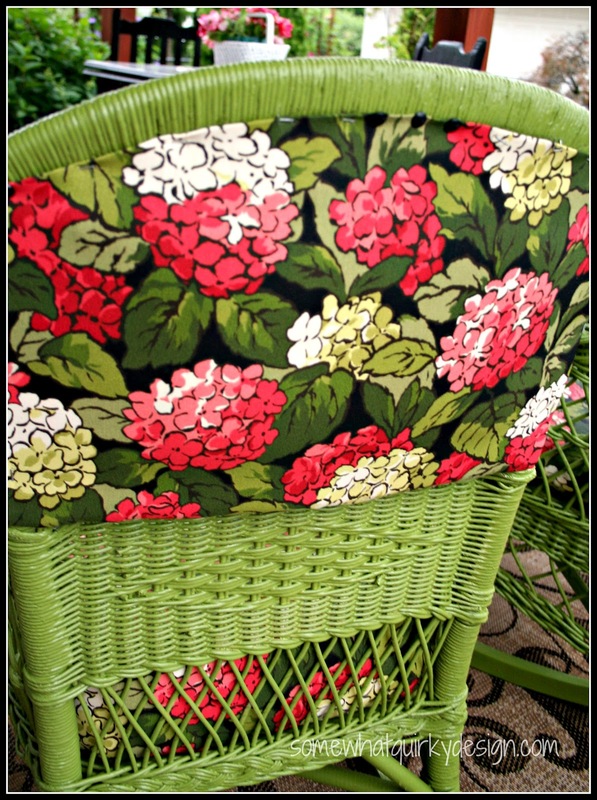 I purchased the hydrangea fabric for the crib day bed last year and I thought it would be a good idea to use it on the chairs as well. Once I made that decision it was easy to to decide on green. So I went to my second choice Rustoleum Ultra Cover - great color selection but not quite as durable. I chose the color Eden in satin. They also have gloss and flat finishes, but the color selection is not quite as extensive as the satin. i absolutely love this color but now I have to find some sort of protective finish to put over them. I am researching a clear protective finish to put on the chairs now. FYI I used 6 cans of primer on these two chairs and 6 (7?) cans of color on these two chairs. This is the BEFORE of the smaller rocker. 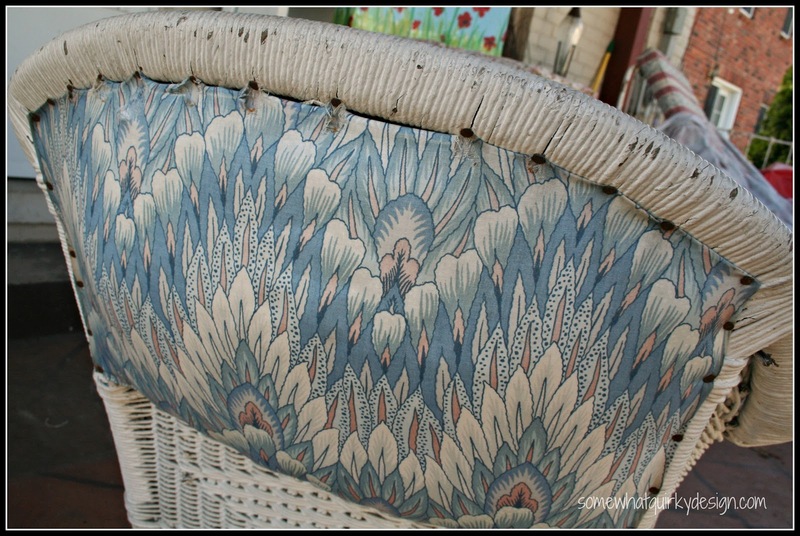 The paint was very old and the exposure t the weather had loosened the paint to the extent that all the flakes you see either fell off or came off just by brushing my hand over the wicker. Power washing removed all of the blue paint and about 90% of the white paint or primer. This chair is very old and actually has a full set of springs under the seat lining. I got this chair at an estate sale for $90 last summer. Frankly I never would have paid this, but a friend bought it for me to pay me for some work I was doing for her. It is very sturdy and well made - probably worth more than what was paid for it. 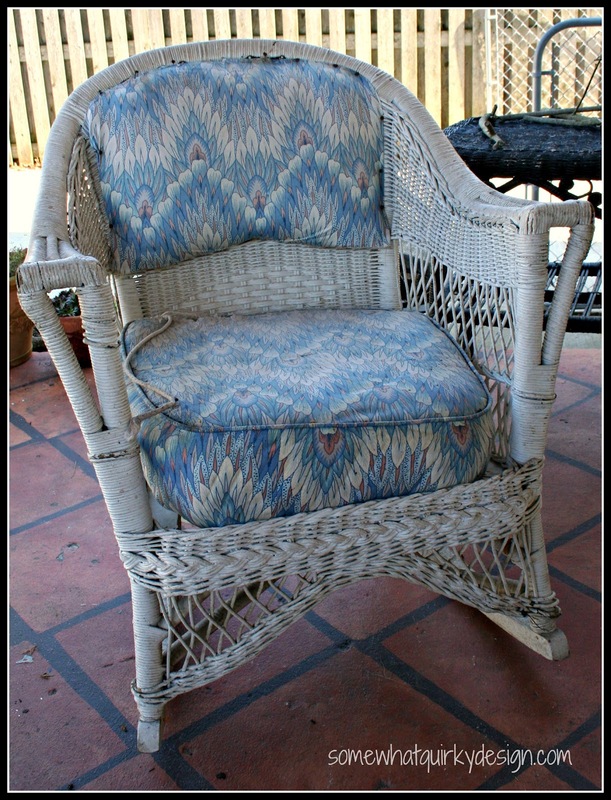 This is the before of the larger rocker - nice upholstery huh? I got it last summer at another estate sale. I think it was $12.00. I wish I had a picture that more accurately depict the weirdness of this back insert. 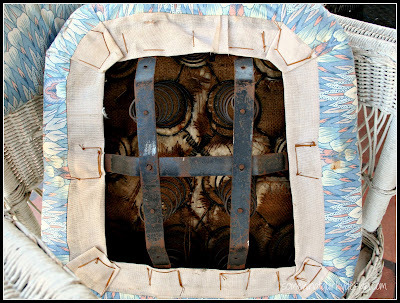 It contains a set of 6 springs that made the back stick out like the chair was pregnant. The bottom seat comes completely out. Pretty cool - makes it really easy to recover. 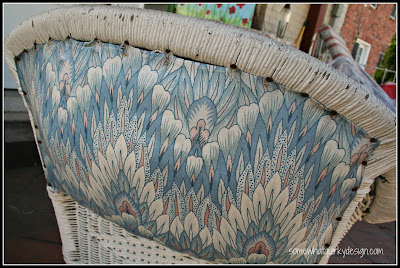 The metal braces settle into the frame of the chair making the cushion fit as if it was permanent. I reused the cording to make the welting and recovered the seat pretty much as it was done previously. Recovering the back insert was weird and a big guessing game on my part. Absolutely NO pics on this process, I don't want anyone to think I know what I was doing on this. I tied the springs to make them less "springy" so they wouldn't bulge out so much and then replaced the original padding with foam in hopes that it would dry more quickly after the rain gets to it. I will be putting the black tacks all along the front and back edges. Right now everything is temporarily attached with staples. 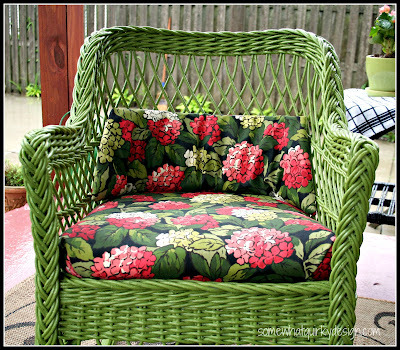 I also have to add some upholstery tacks to make sure everything gets attached to the actual frame and not just to the wicker. I originally only purchased 50 tacks. Looks like I will need at least 400! The other chair was easy because the pads are just regular pads. I just slip covered them for now. I'm researching what foam I want to use to replace the 60 year old padding that is on them now. I need something more outdoor friendly. When I got this chair the cushions were placed in it like this - with the little back pad sitting down in the lower section. I started thinking that maybe the cushion was actually supposed to be up high - like a real back rest. It is slightly more comfortable like this. It's not like it is uncomfortable with the cushion down. Does anybody have an opinion about this? Up or down, what do you think? Anybody want to come rock with me? Get up off your rocker and make something wonderful today! 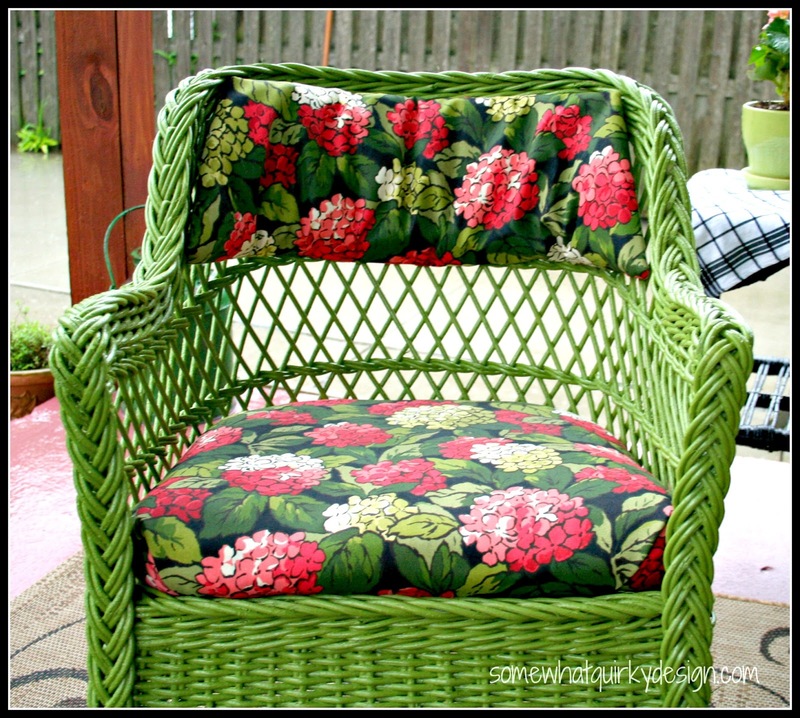 I LOVE YOUR CHAIRS THE COLOR AND THE UPHOLSTERY LOOK FANTASTIC TOGETHER! Those chairs are unrecognisable from what you started out with. Great job Karen, love the colour. I prefer the cushion lower, but either way they're very pretty ! What a great job you did!! Love the color. Feels so fresh and vibrant... great choice. Seriously, Karen, I don't think I have ever seen a wicker chair with springs and I have been in this business for 10 years. Learn something new every day. That said, what an amazing job you did on the chairs, the upholstery and everything (porch included). Have you tried Valspar Clear Sealer? It says exterior/interior on the can. 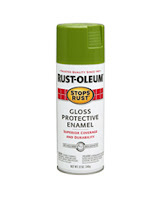 It's a spray and it comes in satin and flat. I get it at Lowe's. All that work, you need to protect it. Fabulous job! Wowsers! These are freaking great! Thanks so much for linking them up....and seven cans of primer/ seven cans of paint? Holy shmoley. Totally worth it though! Those look fantastic Karen! I have one of those chairs in my attic! 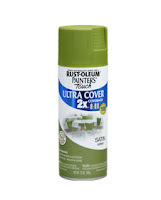 And I just bought two cans of that Eden green but haven't used it yet! parallel universes her I think! The fabric looks great with that color! You did a wonderful job! I'm on my way, I'll bring the iced tea with lemon slices! Would you like pie or cookies to go with that? You did a fantastic job, the cushions look great either way. Loving that green, it's one of my favorite colors. These chairs are sooo amazing!! I love the material so much and the chair color just enhances it all!! Wow factor here!! Good job. I'd want to protect them from the elements with a clear covers when they aren't being used! I prefer the cushion down, my daughter likes them up so each to their own!! ....I might even invent my own cushion to span the whole back with ties! Just excellent...Love them both!!! I love everything about these chairs! I would certainly sit and rock with you for a long time! Thanks for sharing on SOS!! Southern Sassie Girls: You have to ask? She wants a cake, with buttercream icing, please. And, don't know what you did but can now comment from work! Yay! Absolutely beautiful! You did a great job on these chairs. I think you should place the cushion however you want; it looks good either way. I'd love to come sit and rock. Re-painting my porch chairs is on my summer to-do list. I used spray paint last time but this time I get to use my mom's spray gun instead. I wish I was brave enough to paint them a color like your lovely green, but I have the feeling that they'll be white! I am so in love with your chairs!!! I love the colour!!! I love the fabric!!! Wow, I would pinch them off your porch if I lived nearby. PS You're fairly safe I live in Australia! WOW. You did an amazing transformation on those two awesome pieces - love the color and also the fabric you chose for the cusions - looks amazing! that color is so fun! i love it1 and love that awesome fabric! 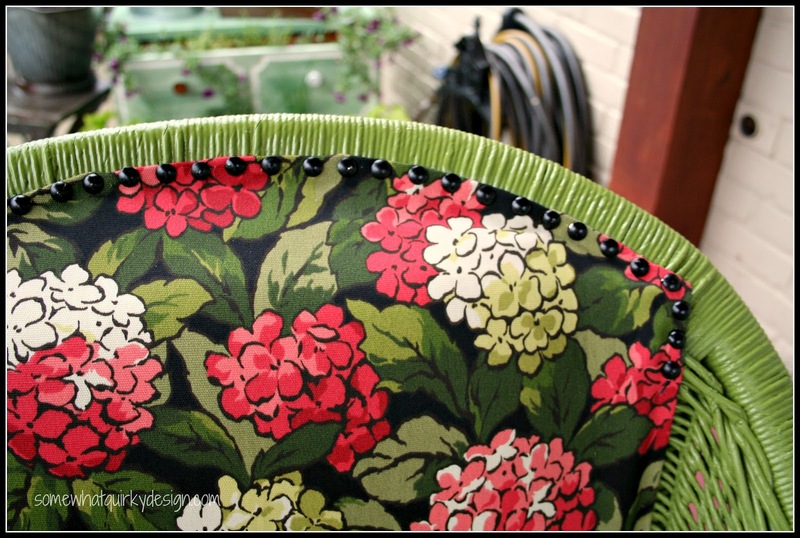 I love the freshness of the green and I love the cushions and headrest. Great transformation. Beautiful! This just made my heart sing! What a lovely pairing and so too with the color you chose! Featuring your rockers on my blog! Oh my goodness! 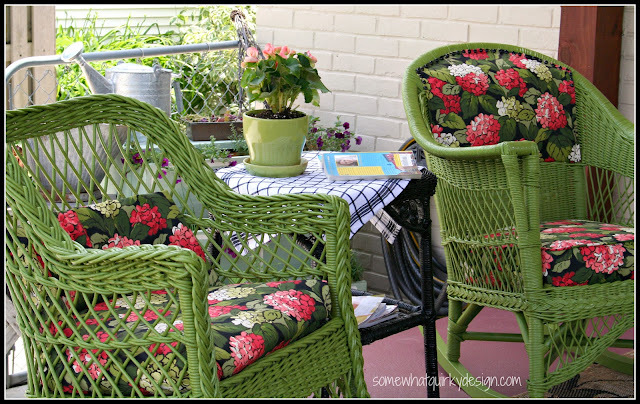 I adore these chairs and if my house wasn't yellow and cranberry, I would totally steal this idea. 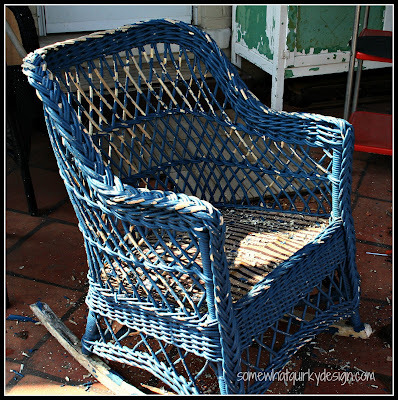 I have two old white wicker chairs on the porch now and I was just going to paint them white again. Seeing your chairs, I am thinking about going down a totally different road. Really, just fabulous chairs! wow love this green great job of re-doing!! 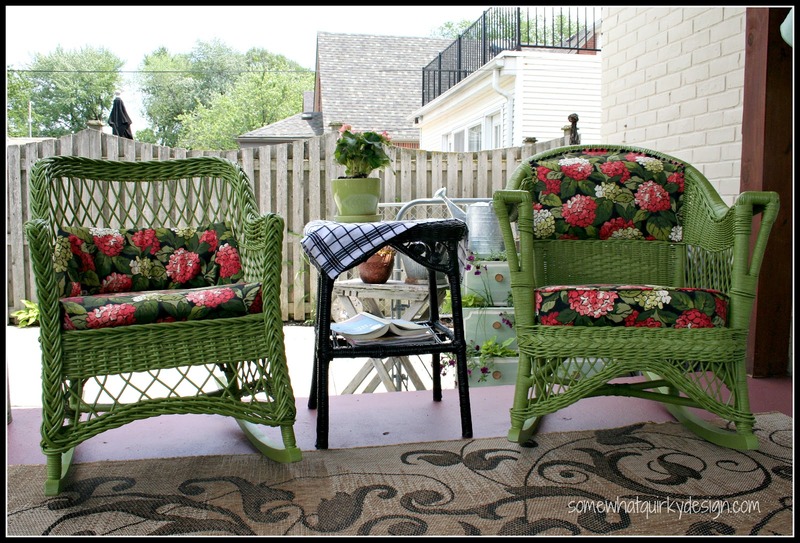 Cute chairs and porch. Thanks for sharing at Wow. Wow! I'm in my rocking chair right now! Same style, same chipped paint... I don't have a pressure washer. Please tell us what setting you used, etc. Also, my old chair has a cushion for the front top area only. 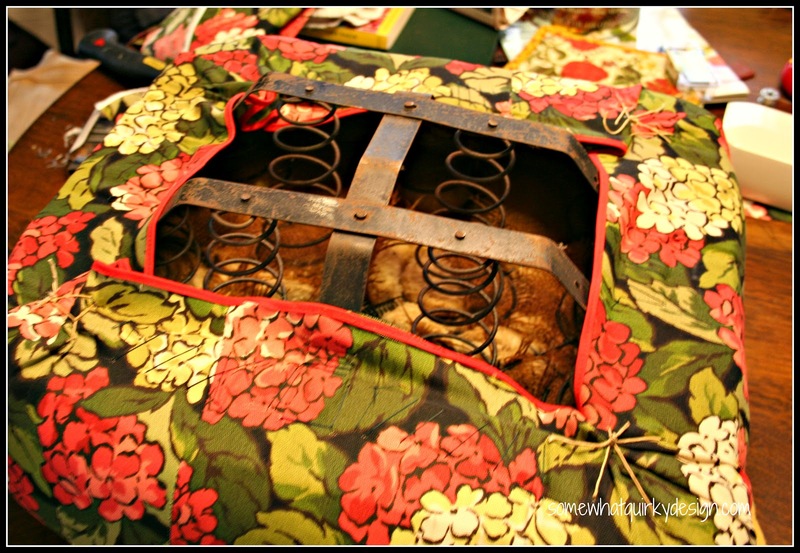 It has fabric tabs that reach across to the back and snap on. These caught my eye. Green is my favorite color and I love these. Please come share at my linky party! I love, love, love your makeover! The color is beautiful as are the cushions. So I am now inspired to tackle my sad, flaky wicker chairs tomorrow! Thanks for sharing, visiting from Savvy Southern Style. Beautiful! Priceless! Love wicker the hydrangeas really make it all pop. I have never quite enjoyed the look of wicker, however, you have made it new to me and I thank you. Beautiful color! and the setting is simply fabulous. Thanks! 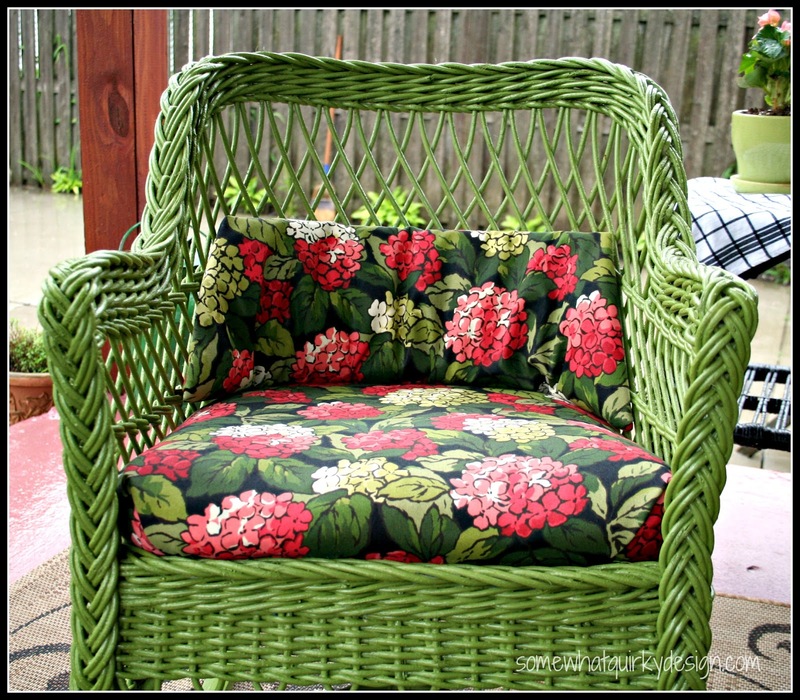 Karen, I love how you revived those old wicker rockers. I also love the color and fabric choices! wow, what a big change! green is my favorite color and this made all the difference!! thanks for linking up with Pretty Handy Girl & OPC to support Habitat!